We had a team with the Susan G Komen Foundation Race for a Cure for many years. The team was made up of family, friends and customers who joined in the cause and support of Jamie who survived breast cancer. Georgetown Little League and Kelloggsville Little League have made us proud by wearing our names and having great sportsmanship. 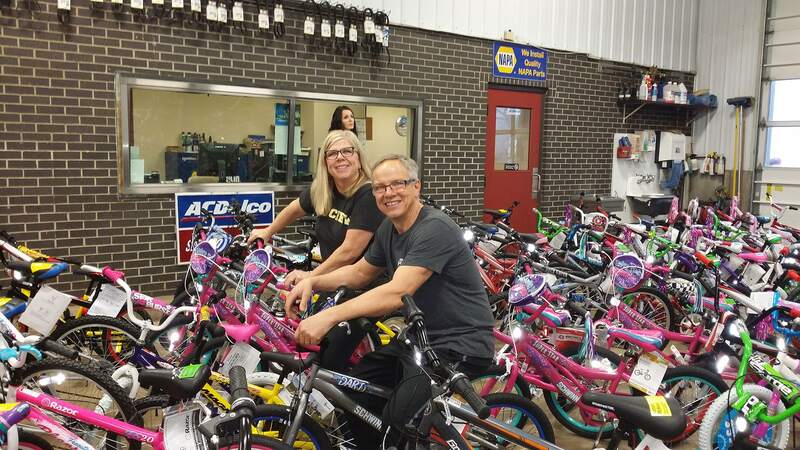 We've had the honor of being a part of a bike build for I Dream Beautiful, a charity that gives to families who couldn’t otherwise have a Christmas celebration. At the end, every kid gets a bike!! It's awesome! 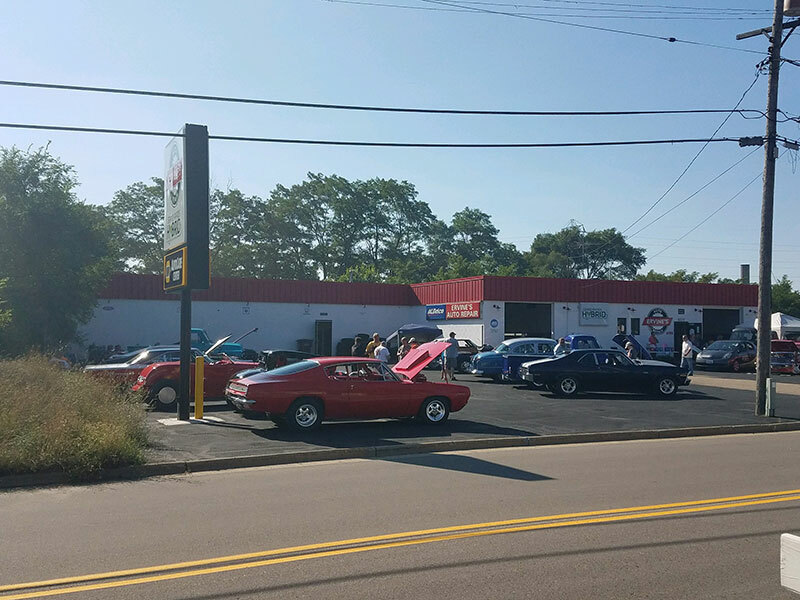 For the past few years we’ve had a car show open to the community. A few more nonprofits that have our hearts are: Team Tommy Army Strong, The Jenison High School Autism classroom, and Kids Hope. 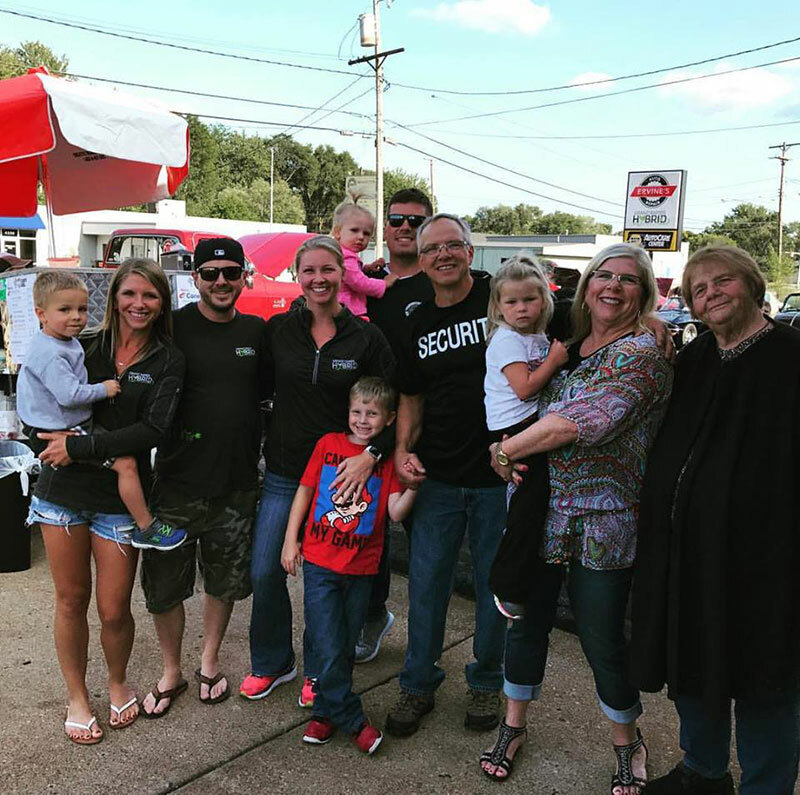 For the past two years we’ve held a car show free to the community hosting 40 cars and many families. During the show, we raise awareness and money for a local charity. HQ (a drop in center for homeless youth) and the Diaper Store of Allendale (the only charity in the Grand Rapids area to give out diapers, wipes, creams to families without having to take parenting classes or proving income) have been the focus of our efforts. As much as we love being in our local community, we also realize that it Is important to be active players in our professional community. Women in Auto Care, WorldPac, Auto Care Association, Automotive Service Association, Young Auto care Network Group. Each one of these groups has brought us networking, seminars and a place to learn and give ideas to others in all aspects of the auto care industry. The auto repair technicians at Ervine’s Auto Repair & Grand Rapids Hybrid are excited about their involvement with the community. Come in for the top-notch service that you deserve. Schedule an appointment today. Ervine’s Auto Repair & Grand Rapids Hybrid is located at 4311 Stafford SW, Grand Rapids, Michigan 49548. We’re open Monday - Friday from 8:00 AM - 5:00 PM. We look forward to your visit!